THIS year, just like last year [1, 2], IAM is trying to impress Battistelli, whose PR agency has already funneled money into IAM on at least one occasion (that we are aware of). “In this video, Battistelli blatantly lies about the Boards of Appeals — in a way that no doubt would offend all those whom he attacked. 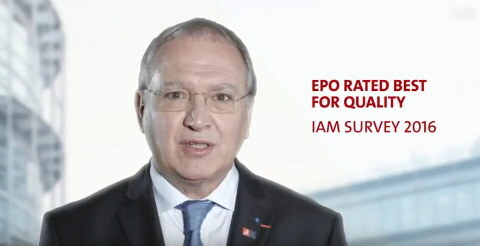 He also lies about the “social conditions” — uttering words that are enough to make staff’s blood boil in well under 5 minutes.”IAM would have us believe that the EPO is doing great; they have a marriage of convenience between them and the above screenshot (frame from this new video, viewed only by 275 people) is just one among many infuriating things. The Liar in Chief, who cannot speak German and can barely speak English*, is so insecure that we are hardly surprised that he just attacks anyone who dares question his authority. In this video, Battistelli blatantly lies about the Boards of Appeals — in a way that no doubt would offend all those whom he attacked. He also lies about the “social conditions” — uttering words that are enough to make staff’s blood boil in well under 5 minutes. Throughout his bizarre (unprofessional, he looks like a nervous wreck) reading session he keeps citing his paid-for ‘studies’ — the best propaganda money can buy! 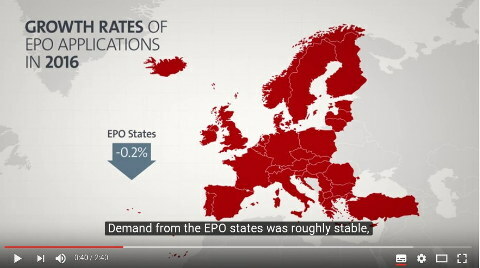 “Those who wish to understand why Battistelli has 0% approval rating amongst EPO stakeholders only need to watch a fact-checked (annotated) version of this ridiculous video from Battistelli.”Unitary Patent fake news and lobbying takes up almost 20% of the entire video, claiming “renewed commitment from the UK” (i.e. ignoring the very reality of Brexit) and repeating the lies (e.g. “end of this year”) from Team UPC — lies that we continue to see floated in social media today, adding to a sea of fake news. * It’s very embarrassing to watch him read the script like a fool. I’ve seen elementary school students doing a better job, without having to read someone else’s script and looking all awkward and robotic. Many EPO workers command numerous languages and can speak fluently in all of them, unlike Battistelli, who is supposed to be a perceptually superior boss. That last one was published this morning. Since then, the EPO has made the above tweet available, linking to a video with the following frames (and transcript shown with an overlay). Let’s look, shall we? More excuses. With grants up 40% (supply surge while demand decreases)? Why are minuses symbolised by blue and not red in the maps (almost the same colour as US states)? In the appendix you will find, also on behalf of the Minister of Foreign Affairs, the answers to the questions asked in the Written Consultation on the Situation at the European Patent Office. The members of the VVD request clarification on the situation at the European Patent Office in Rijswijk. Are there significant differences between this and the other branches? The European Patent Office (EPO) has five branches (in order of size: Munich, Rijswijk, Berlin, Vienna, Brussels). The same working conditions apply at all branches. However, the situation at Rijswijk has attracted more attention as three disciplinary cases have been completed there. The members of the VVD request clarification on the strategy debate that took place in December. What is the state of affairs in this area? Can the State Secretary clarify whether decisions have now been made about this? With regard to the strategic debate the VVD group is asking for information about, I can report that in its meeting of 14 and 15 December 2016, among other things, the Administrative Council looked back at the social audit and the social conference that took place on 11 October 2016. The decision was taken to now prioritise working on the proposals relating to internal investigation procedures and disciplinary measures. A number of countries (including the Netherlands) are now actively cooperating to improve these proposals. Work is also being carried out on an improvement to the internal appeal procedures, as also recommended in the social study. The members of the VVD ask how the State Secretary will continue to hold the EPO to account regarding its responsibility and how he aims to achieve these good intentions, taking into account the reputation of the Dutch business climate as well as the ruling of the Supreme Court on 20 January 2017 that the EPO is immune as an international organisation in the Netherlands. What can the State Secretary do, in connection with the Dutch role as a good host country and what could be better handled through the Administrative Council of the European Patent Organisation? organisations established in the Netherlands on a structural basis. The latter also offers the opportunity to raise Dutch wishes and concerns in relation to the social climate. The Netherlands is also an active member of the European Patent Organisation and in that context takes the necessary measures to improve the social situation, both formally and informally. Given the position of the EPO as an international organisation, this is also the focus of the Dutch involvement. The members of the PvdA request a report on the conversation that the Minister of Foreign Affairs held with the head of the Rijswijk branch of the EPO. This conversation took place on 30 January 2017. You were informed about this separately by the Minister of Foreign Affairs. The members of the PvdA request insight into the consequences of the ruling of the Supreme Court on 20 January 2017. The ruling of the Supreme Court confirms the fact that the European Patent Organisation and its bodies, such as the EPO, enjoy immunity under the Dutch legal system. The ruling of the Supreme Court is in line with the State’s position regarding the immunity to which the organisation is entitled. The ruling will therefore have no concrete consequences. The Netherlands will continue to work for improvement of social relations within the organisation in the Administrative Council. These members ask how the ruling of the Supreme Court that there are sufficient alternative mechanisms available to the staff of the EPO for the settlement of internal disputes compares to the recent judgment of the International Labour Organisation (ILO), which ruled that, in the current situation, the EPO staff have no functional first legal authority available for a fair legal process. The legal remedies available to staff at the EPO also include the ILO tribunal (ILOAT) as an appeal body, which ultimately assessed the complaint. The Supreme Court ruled that “concerning the staff and staff representatives of the EPO, the EPO has provided a judicial process that meets the relevant requirements with the judicial process at ILOAT” (r.o. 5.7). The fact that the ILO tribune made a judgment confirms the fact that a reasonable alternative legal remedy has been provided. 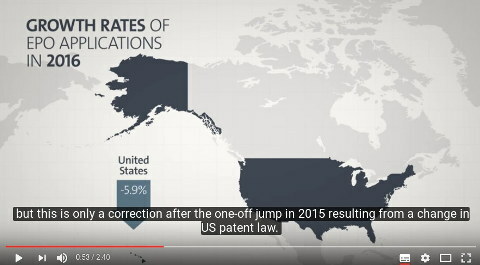 concerning the subject of patent applications. In the internal appeal case that resulted from the objection, the objection was declared inadmissible (manifestly irreceivable). The decision on the objection was taken as a basis for the recommendation of the Appeals Committee, with regard to staff representation, which was composed of two chosen staff representatives that had taken up voluntary positions in the committee that ruled on the objection. The ILO tribunal ruled that this was not consistent with the staff regulations, which at that time stipulated that staff representatives should be appointed by the staff committee. As a result of this ruling, the staff regulations have since been adjusted. The members of the PvdA ask whether the Netherlands will be proposing additional measures to improve the social situation in the Administrative Council. How will it be ensured that the recommendations in the social study by PricewaterhouseCoopers (PWC) are implemented here? Is it correct that the measures previously proposed in the Administrative Council have been postponed and the situation has therefore not yet improved? As is commonly known, the Netherlands is striving to improve the social situation within the EPO and regularly discusses this within the Administrative Council. In its meeting of 14 and 15 December 2016, the Administrative Council looked back on the social audit and the social conference that took place on 11 October last year. In order to implement the recommendations from the audit properly, ongoing proposals for change to the internal investigation and appeal procedures were temporarily halted. The decision was taken to now prioritise working on the proposals relating to internal investigation procedures and disciplinary measures. A number of countries, including the Netherlands, are now actively cooperating to improve these proposals. Work is also being carried out with priority on an improvement of the internal appeal procedures, as also recommended in the social study. The accuracy of these reports cannot be confirmed. These members ask in what way the State Secretary is implementing the Gesthuizen/Kerstens motion (Parliamentary Paper 21501-30, no 368), which called for legislation to close the legal loophole on industrial disputes. Along with other countries, the Netherlands is actively engaged in drawing up new legislation in the field of internal investigation procedures, disciplinary measures and appeal procedures and is implementing the Gesthuizen/Kerstens motion in this way. The members of the PvdA Group note that, in the European Convention of Human Rights and Fundamental Freedoms (ECHR), it is stated that the Netherlands has a duty to protect the fundamental rights of European and other citizens who work on Dutch soil. How does the situation at the EPO relate to this duty? How will the Netherlands meet this obligation? As the Supreme Court confirmed, the EPO is entitled to immunity and the granting of this immunity is not contrary to obligations under the ECHR, since the organisation provides a reasonable alternative legal remedy. 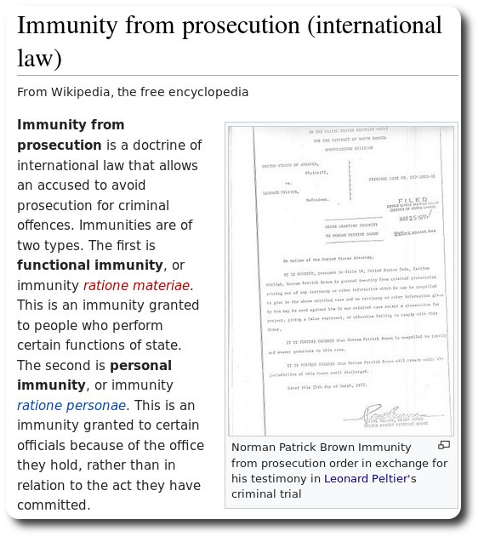 The granting of immunity is part of international law. Immunity does not mean that the international organisation has no obligations under international law or the national law of the host state. It comes down to a balance between the international obligations of the Netherlands, which require respect for the immunity of execution enjoyed by international organisations and the obligations of the same organisations under international and national law. This does not affect the fact that the Netherlands continues to draw attention to the social climate at the organisation within the Administrative Council. The members of the SP group have read in the response of the State Secretary to the social study that the working conditions can be described as more than competitive. These members would like to know on what basis this conclusion can be reached and what factors were taken into account here. They would also like to know why these competitive working conditions have not prevented the existing deteriorated situation. different system for internal appeal procedures. Proposals for change have been or are being implemented in this area. It is important to also note the observation that the generous working conditions cannot compensate for the lack of shared values between the management and staff and a culture of opposition. The members of the SP group have read that the practical application of the regulations within the EPO, the way in which communication on this is carried out and how the application of these regulations takes place on the work floor require attention. These members would like to know whether a good legal structure can still be considered good if the practical application leaves something to be desired. They would also like to know whether there is or has been an arbitrary nature to the application of the regulations and, if so, what effect the State Secretary believes this has or has had on the culture within the EPO. Although in general the legal structure can be considered good, there is room for improvement. The proposed adjustment to the internal investigation procedure and disciplinary measures and the appeal system are good examples of this. This does not mean that the merit of each legal structure depends entirely on its application in practice. As is commonly known, the Netherlands also sees room for improvement in this area. The question of whether there is a level of arbitrariness is impossible to answer without knowledge of individual cases. The government does believe, however, that for the creation a meaningful social dialogue, it is not conducive for a significant number of union leaders to be involved in disciplinary investigations and procedures. The members of the SP group have read that, according to PWC, the internal appeal procedure at the EPO needs to be adjusted, including the introduction of independent judges. The members would like to know what steps the EPO has now taken in this direction, what regulations would be used in this internal appeal procedure and whether the staff would be involved in the development of these regulations, for example through the unions. In the meeting of the Administrative Council that took place in December 2016, it was agreed that work would be carried out with priority on regulations through which adjustments – also strongly desired by the Netherlands – could be achieved. These adjustments are currently being prepared, so that decision-making can begin on that this year. The staff will be consulted on legislative proposals through a body known as the General Consultative Committee. why staff representatives are also responsible if they are not involved in the process and what responsibility he attributes to himself in this process, as supervisor of the management of the EPO. They ask the State Secretary whether he has carried out consultation with the staff representatives and/or the union leaders over the past year, whether he has done this regularly and what his impressions on this are. Does the State Secretary, like the members of the SP group, recognise that the distress among staff is very high? The management of the EPO and the trade unions have already been engaged in a discussion about the recognition of trade unions and the conditions under which this must take place for some time. An agreement was reached on this with a (smaller) union but not with the largest union. It was against this background that the latter union was not invited. The government regrets the fact that parties cannot reach an agreement on this and that a meaningful social dialogue currently seems a long way off. Seen in this light, the Netherlands could have proposed a different invitation policy. The Dutch representatives regularly discuss the situation at the EPO, with all those involved, including the management, other member states, stakeholders, staff members and their representatives and union leaders. This gives the impression of an organisation where the conflict model rules. Meaningful and good modernisation seems to be coupled with a restrictive management style. With all the respect that the government has for the former, it continues to appeal strongly to the management of the EPO on the latter. The initiative for the adoption of a resolution by the Administrative Council and the organisation of a social audit are examples of this. The Netherlands also takes an active approach in the pending legislative proposals. the proceedings initiated against union representatives. The Netherlands will work towards this, within the limits of what is realistic and effective, seeking support from other countries wherever possible. The President of the EPO is appointed by the Administrative Council. He is accountable to the Administrative Council and he is subject to disciplinary control exercised by the Administrative Council. The members of the SP group have learnt that the Supreme Court has overturned the judgment of the Court of Justice in The Hague, reconfirming the immunity of the EPO. These members are curious about the vision of the State Secretary on the resulting situation, in which, on Dutch territory, Dutch residents cannot be protected against (gross) violations of labour law applicable in the Netherlands and in which they have little or no opportunity to appeal against disciplinary decisions. The Netherlands nevertheless continues to call attention to the social climate within the organisation in the Administrative Council. As the Supreme Court has confirmed, the Netherlands cannot take enforcement action against the EPO due to the immunity granted to the European Patent Organisation. The Netherlands will continue discussions with the organisation on the improvement of the social conditions. State Secretary to indicate which legislation in the Netherlands the EPO is immune to (in addition to labour law) and what consequences this could have for safety and maintaining order. The ruling of the Supreme Court was in line with the positions expressed by the state concerning the immunity of the EPO. When new international organisations are established in the Netherlands, the Netherlands underlines that they must provide adequate internal legal processes so that complaints, including complaints in the area of labour law, can be addressed. 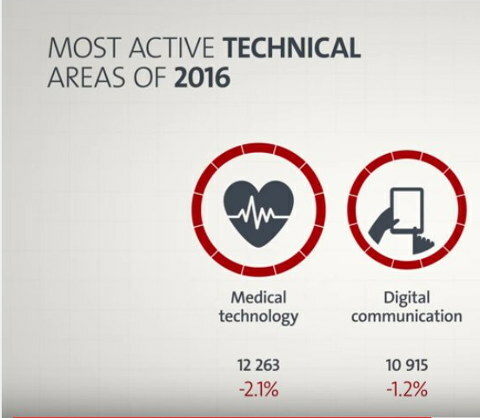 The immunity of the EPO is focused primarily on the enforcement powers of the host country, in this case the Netherlands. Immunity does not mean that the international organisation has no obligations under international law or the national law of the host state. It comes down to a balance between the international obligations of the Netherlands, which require respect for the immunity of execution enjoyed by international organisations and the obligations of the same organisations under international and national law. For the EPO, for example, Dutch authorities can act in the case of fire and other emergencies that require immediate action. In all other cases, action by the Dutch authorities is only allowed with permission from the organisation. The members of the SP group have read in the response of the State Secretary that he is implementing the Gesthuizen/Kerstens motion (Parliamentary Paper 21501-30, no 368) by critically monitoring the situation at the EPO and by working for improvement of the social situation. This motion also asked the State Secretary to discuss with other member states how legislation could be drawn up to close the legal loophole for labour disputes. The members would like to know how the State Secretary is implementing or has implemented this. These members would also like to hear what possibilities the State Secretary has to further intervene in the problems at the EPO and how he is going to use these. As is clear from the answers to the previous questions, the Netherlands is working with other member states regarding both monitoring of the functioning of the EPO and improvement of the legal framework. “Dr. Ingve Björn Stjern too has already debunked these myths. That’s what they are: myths.”We are a Web site composed largely by a single person (hi! ), but that doesn’t mean we’re powerless in the face of an extraordinary lobbying campaign funded in part by Benoît Battistelli and the EPO for a number of years. They’re lying to us. They are trying to fool all of us, including our elected officials. As we have explained here repeatedly (even yesterday), the UPC simply cannot — as a matter of law — happen in the UK (court jurisdiction, requirement of being EU member state etc. ), so the best Team UPC can do right now is rewrite what’s known as “UPC” with Milan instead of London. It wouldn’t even (necessarily) be called “UPC” at that point. Speaking of Milan, see yesterday’s article from Trevisan & Cuonzo Avvocati (a law firm), titled “Should I stay or should I go: the Court of Milan rules on the possibility of deciding on an invalidity/infringement action pending opposition before the EPO” (it would be off topic to remark on it right now). “Honest, albeit few, people inside the legal profession sometimes care to admit the truth under their real name. Many are complicit by silence, oftentimes out of convenience.”The reality of the UPC being strictly impossible in the UK is not being tolerated. The law firms down in London are very, very angry. They are also somewhat nervous, knowing that Article 50 is coming and Jo Johnson has not yet ratified anything (even when Team UPC said he was ‘supposed’ to, namely March 7th). For those who wonder what “@ipaware” in these tweets refers to, it’s the “IP Awareness Network”, which is a sort of front group for the likes of Team UPC (and beyond), akin to CIPA. They’re simply lobbyists. Go to their original/official site and you will see “Site off-line”, so they don’t even maintain a Web site really (not so well anyway). They try to attract UPC-related business, hence their constant lobbying for the UPC. At whose expense? Brits who actually create things, and would be rendered vulnerable if the UPC ever became a reality. The same is true not only for Brits. 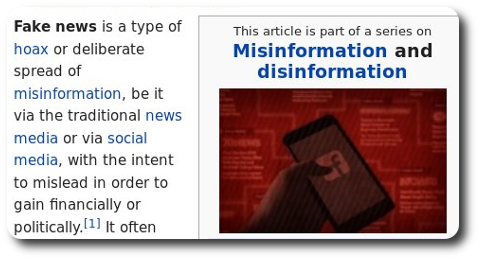 “You are linking to fake news from Team UPC,” I clarified, linking to our detailed debunkings of these fake news. Repeating fake news about UPC and Spain seems the only thing they’re capable of doing now (even linking again to already-debunked news from a week ago). Team UPC itself, suffice to say, is a 24/7 operation of UPC fake news, just amplifying its own misinformation as the closing date (Brexit/Article 50) looms. Bird & Bird IP, a core part of Team UPC,‏ needs to come clean about spreading fake news regarding Spain, but instead it writes that “The Socialist Party presses the Minister for answers on why Spain remains out of the #UPC system,” linking to its own lobbying, (mis)filed under the “news” section, under “articles”. “Well, the “UPC Prep Committee” is nothing but the wolf that guards the sheep (or the fox watching over the hen house).”Team UPC employee Beatriz Díaz de Escauriaza (Associate in Spain) does some more lobbying, again with fake news which misrepresents what actually happened there. It’s not even news, it goes years back (2015) and is in no way indicative of upcoming change of mind, unless the Spanish media gets ‘planted’ in it politically-motivated shame pieces (as already happens, after pressure from Team UPC and maybe the EPO/FTI Consulting). “That’s like asking think tanks of fracking giants whether or not fracking is harmful to one’s health and the fracking analogy goes a long way because the EPO contracted fracking lobbyists to push agenda like the UPC.”Well, the “UPC Prep Committee” is nothing but the wolf that guards the sheep (or the fox watching over the hen house). That’s like asking think tanks of fracking giants whether or not fracking is harmful to one’s health and the fracking analogy goes a long way because the EPO contracted fracking lobbyists to push agenda like the UPC. THE EPO does its reputation a great disservice. It inherited the same nasty tendencies which Battistelli is so renowned or notorious for. Every day we catch the EPO in a lie or two (sometimes even more) and it’s not even funny. It has become rather obnoxious because even when the EPO gets caught in a lie and people point it out the EPO will simply continue to tell that same lie. “It has become rather obnoxious because even when the EPO gets caught in a lie and people point it out the EPO will simply continue to tell that same lie.”Yesterday, as usual, the EPO offered “retweets” only for Philips (to its fake "followers"), e.g. this one on Thursday, but not for SMEs. The EPO is working for large corporations, at the expense of SMEs, but has to pretend otherwise. Those large corporations typically use their patents against SMEs (either deterrent or actual legal action). “The EPO is working for large corporations, at the expense of SMEs, but has to pretend otherwise. 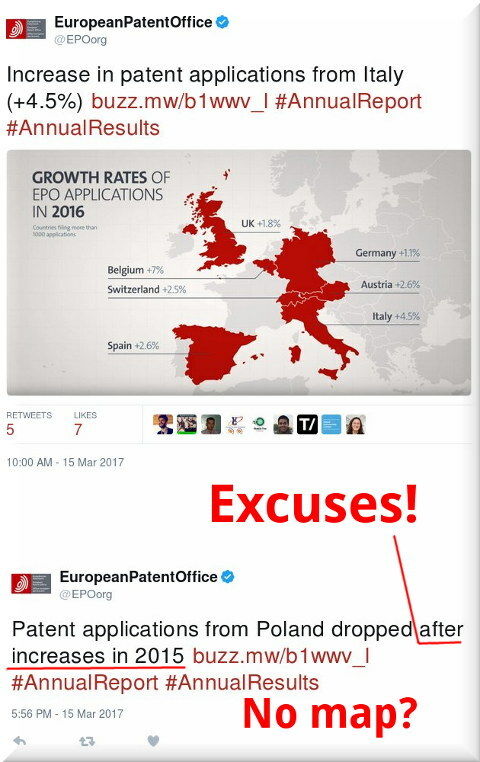 Those large corporations typically use their patents against SMEs (either deterrent or actual legal action).”We have already rebutted this tweet some days ago by pointing out that the EPO lobbies for the SME-hostile UPC and actively discriminates against patent applications from SMEs. 1. What is your methodology,sample? 2. How is this % found? 3. How did you examine the 3 criteria of #SME definition? This kind of sceptical approach is especially required when dealing with an Office with a terrible track record (a lot of lying as of late).